I know I said no more Christmas photos, but this is an exception. 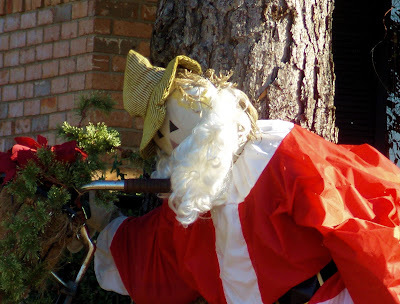 I'm not certain if this was purchased as a santa, or if it was a dressed up scarecrow leftover from halloween and thanksgiving. Looks like hes about to get on his bike and ride away to the north pole.